Some cats can be extremely finicky. They may turn their nose away from foods they dislike. 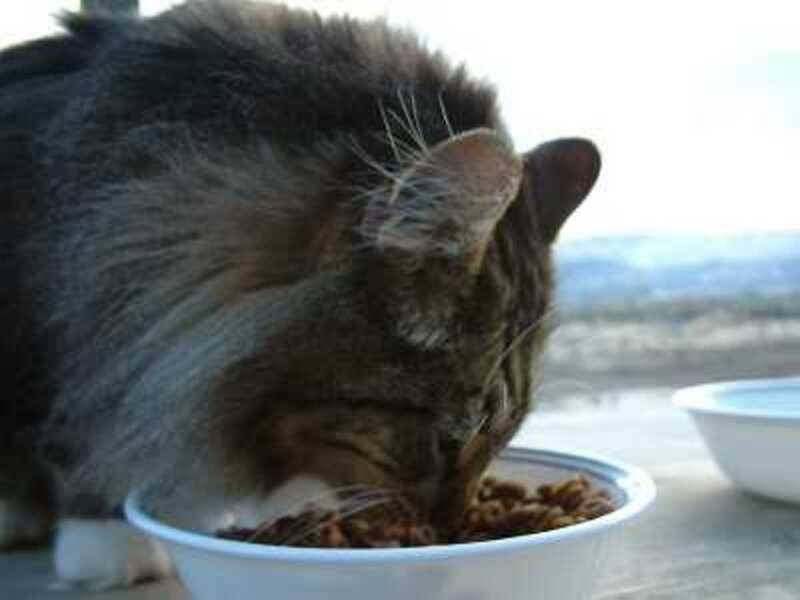 A cat refusing food may even starve rather than eat the food he/she do not like. Dealing with such cats may be annoying as owners may find themselves continuously rotating between different cat food brands to satisfy their cat’s special cravings. However, in some cases a loss of appetite may suggest a health ailment. This is why before considering your cat finicky it is a good idea to have your vet rule out some conditions. For instance, a cat affected by tooth decay may find it painful to chew on dry food and may categorically refuse to eat it. Food may be dropped from the cat’s mouth and drooling may be present. Some cats are pretty good in hiding pain and may suffer from tooth pain and simply just refuse to eat its food rather than exhibiting more recognizable signs of dental decay. In another case, a cat may have an upper respiratory infection where the sense of smell is affected causing even the best food to appear stale since cats rely a lot on their sense of smell. Of course there are many other health disorders that cause loss of appetite in cats, this is why it is vital to rule out these conditions prior to simply considering your cat a finicky eater. When cats refuse to eat food for some time action must be taken. A day or two without food may not be a big concern however, prolonged refusal to eat may progress into a serious condition called Hepatic lipidosis. Cats that are obese are the first to suffer from hepatic lipidosis when they go too long without food. Signs may take place from a few days without food to up to two weeks with no food. When a cat goes too long without eating fat will accumulate in the liver cells, this causes the liver to become yellow, fatty and enlarged. A cat may therefore develop jaundice (yellowing of mucous membranes, white of the eyes and interior of the ears) and go into liver failure. This sort of liver problem seems to occur mostly in over stressed cats, like cats that refuse food when boarding or cats locked up in a closet for days or in a garage with no food. Cats must be force fed when they go to long without food. Your veterinarian may prescribe appetite stimulants and special diets like A/d diet created by Hills. A stomach tube may need to be inserted to assure nutrition. Heating the food helps release smells and appear more appealing to cats. After all, cats in nature hunt and eat prey which are still warm. Did you ever notice how interested your cats are when you cook such meals? The smell released by such foods act as a great appetite stimulant for mot cats. Meat based baby food can be pretty attractive to cats. However, you must be sure there is no onion or garlic in such foods as they can create problems in cats. If you must force feed you may warm some baby food and dilute it with some water and dropper feed the cat. Most cats love tuna. You may also drop some tuna oil on your cat’s food to make it more attractive. However, do not feed exclusively tuna for too long, cats need taurine a vital amino acid found in canned cat food. A lack of taurine may cause serious eye disorders. There are various products that can be given to cats that are not eating much. Check for a product called Nutrical in your pet store. A/d stands for anorexia diet and is a special food created for sick or senior cats that are reluctant to eat. It meets a cat’s nutritional needs and it is highly palatable. There are some medication that your vet may prescribe to bring back some appetite. Cyproheptadine is one of them. Ask your vet if such stimulants may be beneficial. Cats are strong animals. They may go days without food or water. We may have heard of cats that have been locked up somewhere or accidentally packed up in luggage and shipped cross country for days without food nor water, however, not all cats have nine lives. Should your cat refuse food for more than a day or two have your cat seen to identify the triggering cause. If it’s simply a case of finickiness at least you have peace of mind and time to shop around for the next canned food.